Here's another Zaful Haul for my closet. 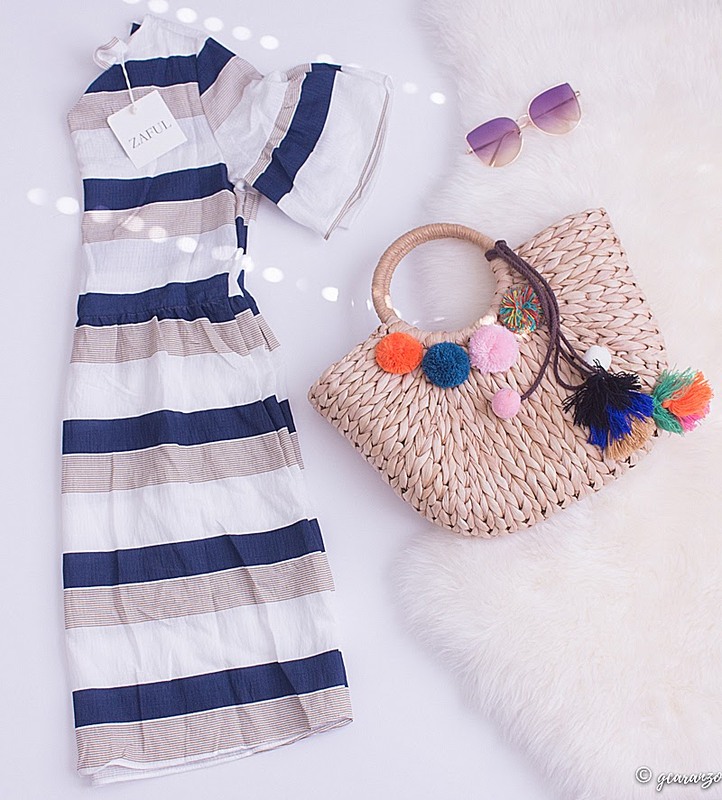 I got me this striped long sleeve dress, cat-eye gradient sunglasses in purple and pom pom straw tote bag. Sigh, summer is already over. 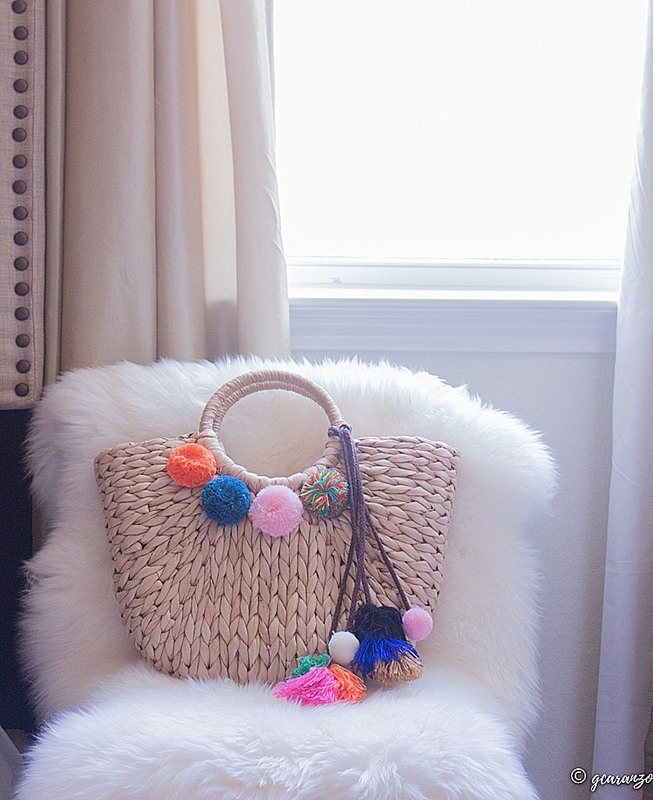 I would have love to don this bag. Oh well, i'll wait for next summer then. Nah... I don't really care if it's out of trend by that time. I wear what I like. Ha! 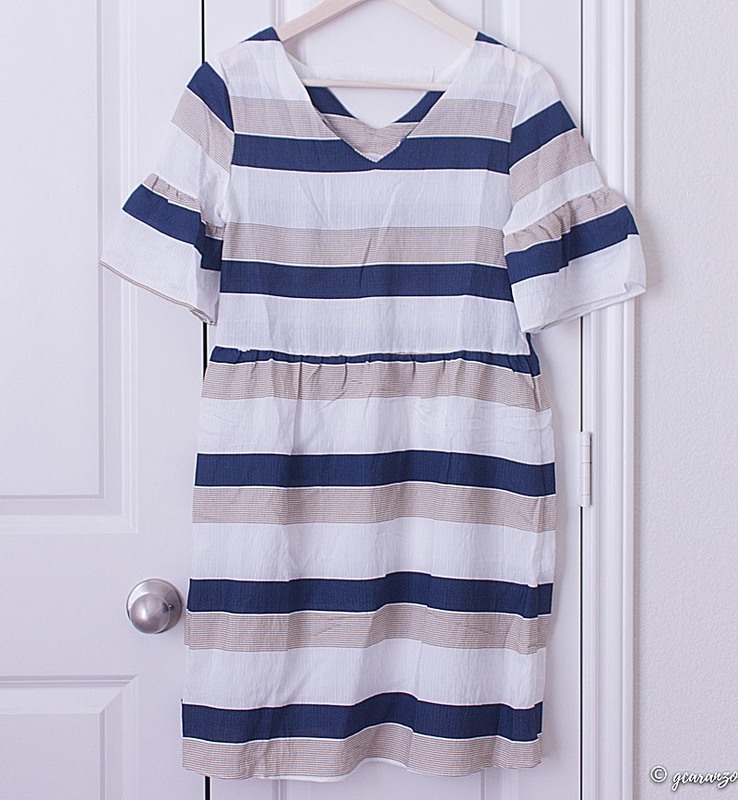 I really really love this flare sleeve striped dress, I don't think it'll last long though. I find the material to be thin. I'm not sure what it's made of, but it's not cotton. 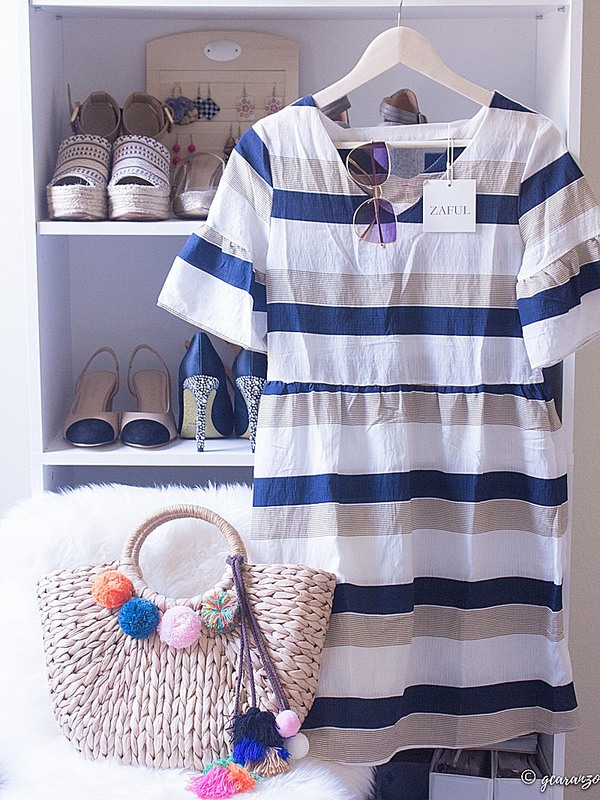 The dress will be a nice cover up at the beach. 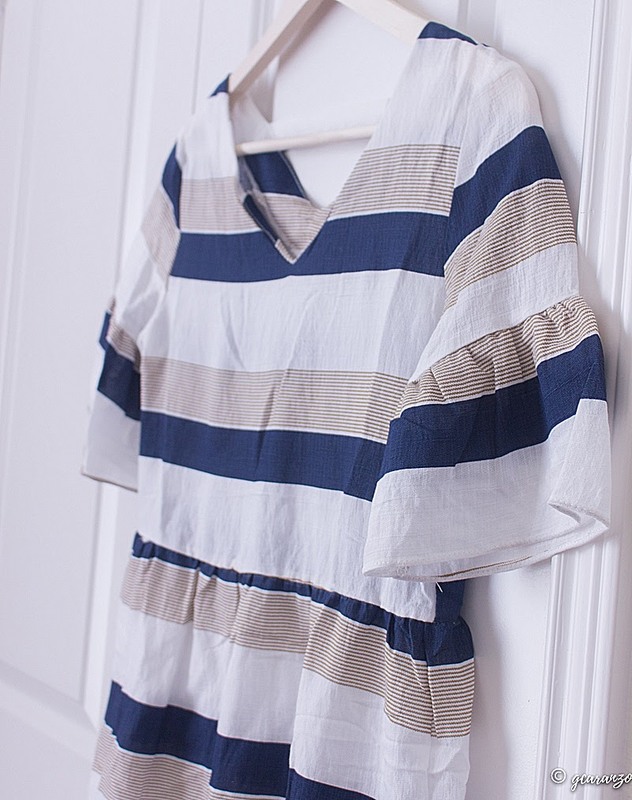 As a summer dress, it's best to wear it with undergarments to cover one's modesty. Other than it's thin material, the fabric is also sheer. 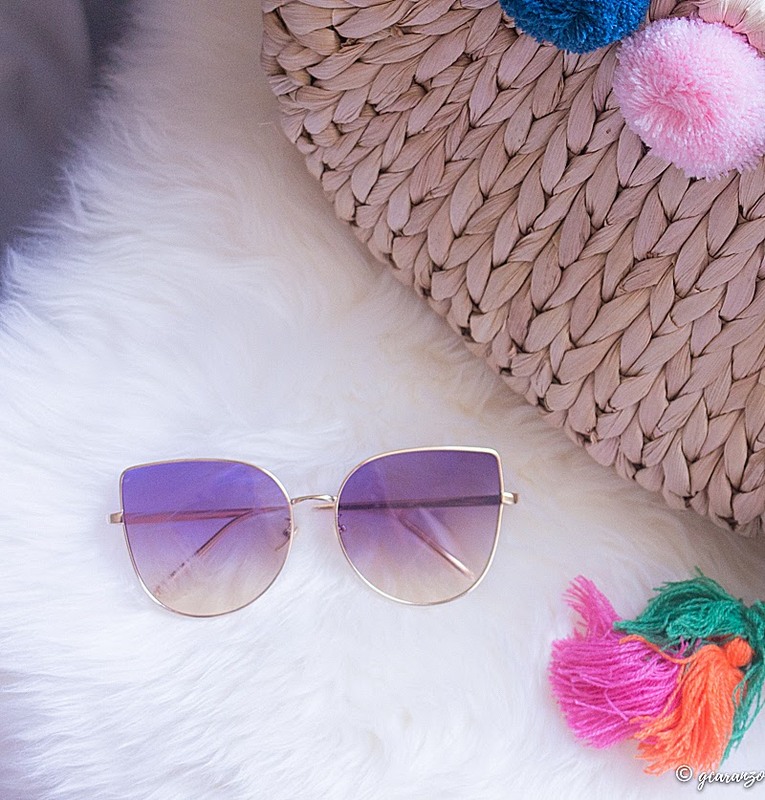 Look how cute is this cate-eye sunglasses. The color and the style is perfect. 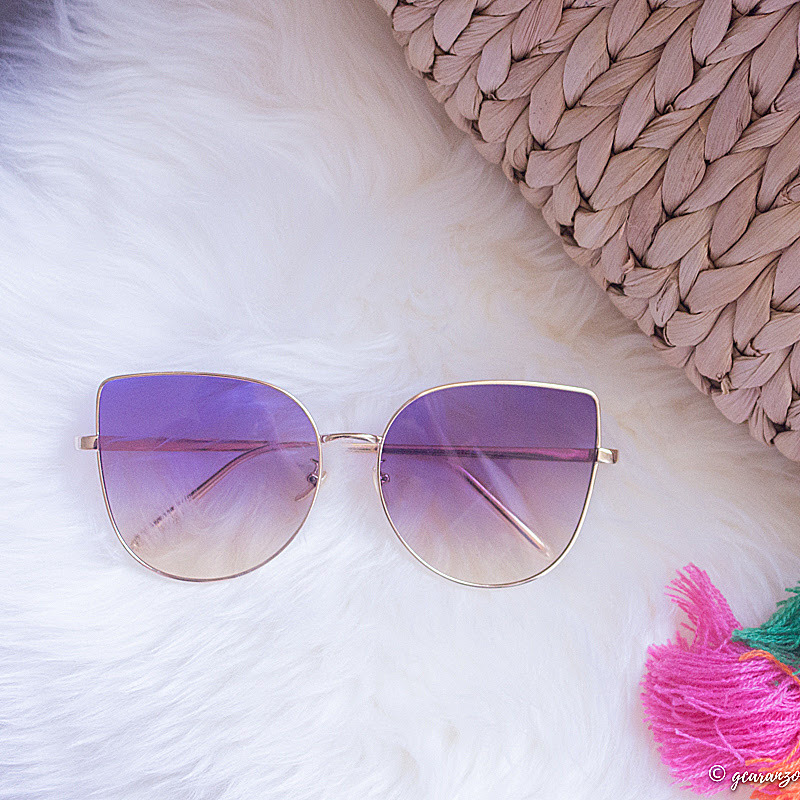 Oh, I can't wait to wear this sunnies for Fall. PACKAGE ARRIVAL: As mentioned from my previous review of Zaful, my package arrived within 2 weeks. (Remember, this came all the way from China.) Not bad actually, given that I live on the other side of the world. THE QUALITY: It's quite okay with me. You get what you pay for. I think the dress will last up to 5 washes. And the bag, up to 5-7 wears. Again, this depends on how you take care of your items. Overall, I'm happy with my package. After all, I don't have to break the bank with these trendy pieces. I just wish the material of the dress is made of cotton.